For some time, I've been wondering if the the obstreperous atheists that I've encountered are social misfits; do they have employment? Will anyone hire people with such attitudes in the first place? (Aside from the New York DMV, I seriously wonder.) I also wonder if some of the viciousness I have seen is symptomatic of more serious emotional and mental issues. 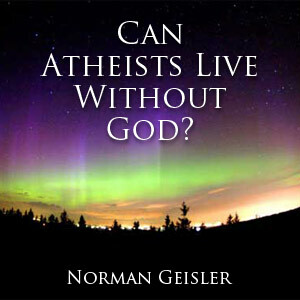 "Simple Apologetics" discusses the negativity of atheists. In addition, there are other articles exploring atheism. In this post, my goal is to clarify the logical connections between atheism, determinism, and negative social outcomes. It is very important to note that this post is not saying that atheists (the people) are responsible for more negative social outcomes compared to people with other belief systems. There are a wide range of variables that affect what choices we make. c) an acceptance of determinism and a tendency towards anti-social behavior"
Read the rest of the article at Simple Apologetics: Atheism and Negative Social Behavior.